ISTANBUL: World War I ended with the Ottoman Empire vanquished and facing imminent collapse, its doomed alliance with Imperial Germany costing hundreds of thousands of Ottoman lives and dealing a death blow to the already creaking empire. But 100 years after the surrender of the Ottomans to the Allied powers at Mudros on October 30, 1918, the Great War is in no way seen as a pointless waste or even a defeat by modern Turkey under President Recep Tayyip Erdogan. Rather than focusing on the four years of devastating conflict that ended in the capitulation and eventual dissolution of the empire, Turkey remembers key individual battles where Ottoman forces, often against huge odds, defied the Allies and helped forge a new Turkish national identity. Chief among them is the 1915-1916 Battle of Gallipoli, but other episodes like the siege at Kut al-Amara in modern Iraq and the Battle of Sarikamis against the Russians are also marked with increasing emphasis. Gursel Goncu, the editor-in-chief of the monthly Turkish history magazine #tarih, said the empire´s defeat was not something that existed in the memory of contemporary Turkey. "We, the Turks, remember and talk about that period through the Gallipoli victory and the triumph of the siege of Kut al-Amara. The devastating defeat of 1918, on the other hand, is still being interpreted as the ´treason´ of the authorities at the time," he told AFP. Erdogan increasingly gives these brief triumphs prominence, tracing a line of continuity through the centuries of great events in Turkish history from the pre-Ottoman era into the modern republic right up to the defeat of an attempted coup against him in 2016. The president sees these battles as a defiance of the West and defence of territory which was historically in Turkey´s natural sphere of influence. The Ottoman resistance at Gallipoli prevented the conquest of Constantinople and helped lay the foundations of the modern state that would be formed in 1923 by Mustafa Kemal Ataturk, a key commander at Gallipoli. Erdogan, who refers to the battle as the Canakkale Victory, has urged Turkish soldiers to remember the heroism of their forebears as they prepare for battle. "The aim is the same, the spirit is the same and the faith is the same," Erdogan said in March as he sent troops on a cross-border mission into Syria to help seize the Afrin region from Syrian-Kurdish militia. "At Canakkale, a nation filled with a history of victories awakens from a centuries-old sleep, and rising up from the ashes, embraces the spirit of unity," he added. There is no room in this narrative for the fate of the empire´s Armenian citizens, whose leaders and prominent intellectuals began to be rounded up in 1915 just as the Gallipoli campaign started. Armenians contend they were the victims of the first genocide of the 20th century at the hands of Ottoman forces but Turkey rejects this, insisting far smaller numbers perished in a conflict that saw atrocities on both sides. Every January, thousands of Turks brandishing national flags brave freezing temperatures to march through snow in the northern Kars region to mark not a victory but a famous retreat of Ottoman forces in 1915 after a disastrous defeat inflicted by better-prepared Russian forces at Sarikamis. The retreat is seen as another act of defiance, though Western historians lambast the Ottoman commander Enver Pasha for needlessly sending troops to their deaths. Enver is despised by Armenians, who see him as the instigator of the 1915 massacres. "For the sake of a higher and more meaningful victory, our army did not give in to the enemy or to nature," Erdogan said this year, revealing his own grandfather has been "martyred" at Sarikamis. However the 1916 siege in Kut al-Amara was successful, ending in the surrender of thousands of British and Indian soldiers. It is regarded as one of the most humiliating Allied defeats of the war. "We try to understand World War I through rare victories such as Gallipoli, epic tragedies or personal heroic stories, without considering the reasons for such failures," said Tuncay Yilmazer, a WWI researcher and editor of the website Geliboluyuanlamak.com. 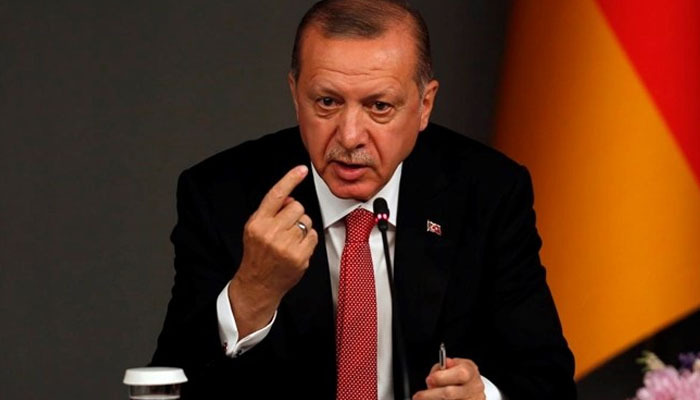 "We need to review our understanding of such a great event that led to the collapse of the Ottoman Empire and transformation into a modern nation state," he told AFP. Goncu noted that WWI was part of more than a decade of devastating warfare endured by the Turks that began with the Balkan Wars of 1912 and ended with victory in the War of Independence in 1923. "We have recalled and commemorated the victorious moments and the heroes of this 10-year long struggle, and we still do," Goncu said. "As regards defeat and agony, well, they are to be forgotten!"